Barry says: Bibio has straddled a wide variety of styles over his (almost) 15-year recorded output, from the lo-fi ambience of 'Fi', the syncopated folky pluckings of 'Silver Wilkinson' and 2016's pumping electronic odyssey, 'A Mineral Love'. This newest outing takes all those wonderfully accomplished but stylistically disparate outings and perfectly weaves them together into a languid but varied musical quilt for 'Ribbons'. 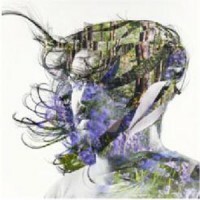 Quintessentially Bibio but building upon his tendency for variety and creative expertise. Properly lovely stuff.